Asked about the US president’s expression of readiness for talks with Iran without preconditions, Larijani said at a press conference in Tehran on Monday that Donald Trump makes paradoxical comments about Iran. 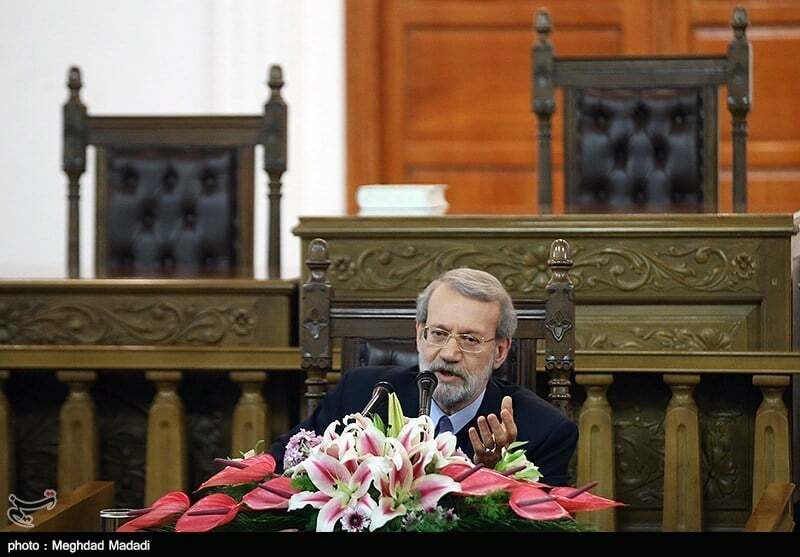 The US president has insulted the Iranian nation and made inglorious remarks about Iran, Larijani deplored, adding that Trump has at the same time voiced readiness for negotiations with Tehran. “Haven’t we already negotiated? When a country breaches an international agreement (the JCPOA)… how would it demand negotiations?” the Iranian speaker said, describing the US call for talks as a tactic that lacks genuineness. If the US is really after negotiations, it should make up for what it has violated by withdrawing from the JCPOA and show goodwill, the Iranian speaker underlined. He said Iranian diplomats are still negotiating with Europe on the fate of the JCPOA. In comments in August, Leader of the Islamic Revolution Ayatollah Seyed Ali Khamenei roundly dismissed the idea of negotiations with the US, saying dialogue with a bullying regime that uses talks as a tool for pursuing its hostile policies is forbidden and would be detrimental to Iran.